ST. LOUIS, MO (KPLR) – Do you have a bunch of old documents or electronics lying around your house and need a safe and secure way to get rid of them? If so there’s a “Shred It to Fix It” event going on this weekend. 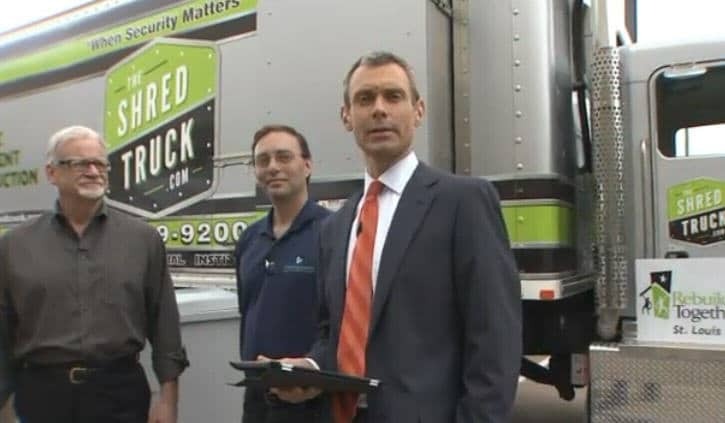 Eric Jacobson from RNA Worldwide, Dave Ervin from “Rebuilding Together St. Louis” and Nick Kirkou with “The Shred Truck,” visited Fox 2 Wednesday to discuss the event.